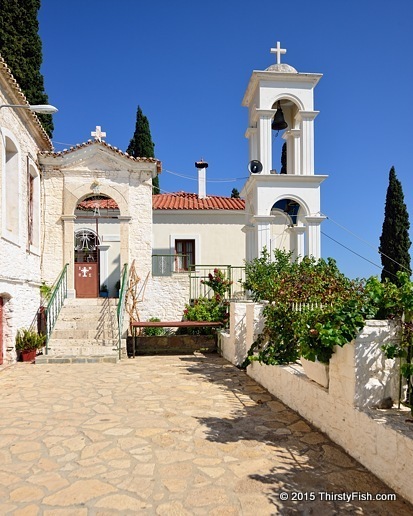 Monastery of Panagia Spiliani, "Virgin of the Caves" is located on the mountainside of Pythagorion on the Island of Samos. The monastery houses a cave and a church that is dedicated to the Virgin Mary. In the cave there is an old tiled marble icon of the Panagia Spiliotisa.